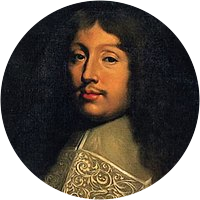 A collection of the best François de La Rochefoucauld quotations. We have more power than will. We never praise except for profit. We always like those who admire us. Generally we praise only to be praised. Men of weak character cannot be sincere. We seldom praise except to get praise back. There are heroes in evil as well as of good. We talk little when vanity does not make us. Love's great miracle is the curing of coquetry. We may give advice but we do not inspire conduct. Refusal of praise is a desire to be praised twice. Hypocrisy is the tribute which vice pays to virtue. The refusal of praise is a wish to be praised twice. The height of cleverness is to conceal one's cleverness. It's a great talent to be able to conceal one's talents. We try to make a virtue of vices we are loath to correct. We need greater virtues to sustain good fortune than bad. All who know their own minds do not know their own hearts. Youth is perpetual intoxication; it is a fever of the mind. Refusal of praise reveals a desire to be praised twice over. We all have enough strength to bear the misfortunes of others. Quarrels would not last long if the fault were on one side only. When our vices leave us, we flatter ourselves that we leave them. We can never be certain of our courage till we have faced danger. Most men judge others only by their success or their good fortune. We hardly find any men of good sense save those who agree with us. Fortune never appears so blind as to those to whom she does no good. Virtue would not go nearly so far if vanity did not keep her company. Too great haste in paying off an obligation is a kind of ingratitude. The trust which we put in ourselves causes us to feel trust in others. To succeed in the world, we do everything we can to appear successful. Men would not live in society long if they were not each other's dupes. The desire of appearing persons of ability often prevents our being so. If vanity does not overthrow all virtues, at least she makes them totter. A man of wit would often be at a loss were it not for the company of fools. Flattery is counterfeit money which, but for vanity, would have no circulation. A man's great fame must always be measured against the means used to acquire it. When we do not find peace within ourselves, it is vain to seek for it elsewhere. We confess our little faults only to persuade others that we have no great ones. The gratitude of most men is merely a secret desire to receive greater benefits. Great names abase, instead of elevating, those who do not know how  to bear them. Loyalty is in most people only a ruse used by self-interest to attract confidence. If we had no faults, we would not take so much pleasure in noting those of others. We torment ourselves rather to make it appear that we are happy than to become so. Old age is a tyrant who forbids, upon pain of death, all of the pleasures of youth. One often goes from love to ambition, but one rarely returns from ambition to love. Men would not live long in social contact unless they were deceived by one another. Flattery is like counterfeit money which, but for vanity, would have no circulation. We would often be ashamed of our finest actions if the world understood our motives. The love of justice is simply, in the majority of men, the fear of suffering injustice. The most violent passions sometimes leave us at rest, but vanity agitates us constantly. It is not sufficient to have great qualities; we must be able to make proper use of them. The accent of one's birthplace lingers in the mind and in the heart as it does in one's speech. The renown of great men should always be measured by the means which they have used to acquire it. True love is like a psychic experience. Everyone tells ghost stories, but few have ever seen a ghost. The reason why lovers are never weary of one another is this — they are always talking of themselves. The pleasure of love is in loving; we are happier in the passion we feel than in the passion we inspire. It is as easy to deceive ourselves without noticing as it is hard to deceive others without their noticing. We should often feel ashamed of our best actions if the world could see all of the motives which produced them. We would often be ashamed of our noblest actions if the world were acquainted with the motives that impelled us. Few things are impracticable in themselves, and it is for want of application, rather than of means, that men fail of success. Why can we remember the tiniest detail that has happened to us, and not remember how many times we have told it to the same persons? but envy is a timid and shame-faced passion we never dare acknowledge. In the human heart there is a ceaseless birth of passions, so that the destruction of one is almost always the establishment of another. Folly pursues us throughout our lives, and the man whom we call wise is he whose follies are proportionate to his age and to his fortune. Humility is often only a feigned submissiveness by which men hope to bring other people to submit to them; it is a more calculated sort of pride. The reason why so few people are agreeable in conversation is that each is thinking more about what he intends to say than about what the other is saying. What men call friendship is no more than a partnership, a mutual care of interests, an exchange of favors – in a word, it is a sort of traffic, in which self-love ever proposes to be the gainer.